I have hypothesized that alder is scarce at this young site because sources of alder seed were distant. In the absence of alder seeds, Dryas, willow, and cottonwood have dominated for the last three decades. But during those decades seeds from the scattered alders at the site could have spread widely and established a nearly continuous alder thicket. The fact that alder is still scarce is not consistent with my hypothesis that lack of seeds explains alder’s meager presence. Maybe this site is just not conducive to the growth and spread of alder. 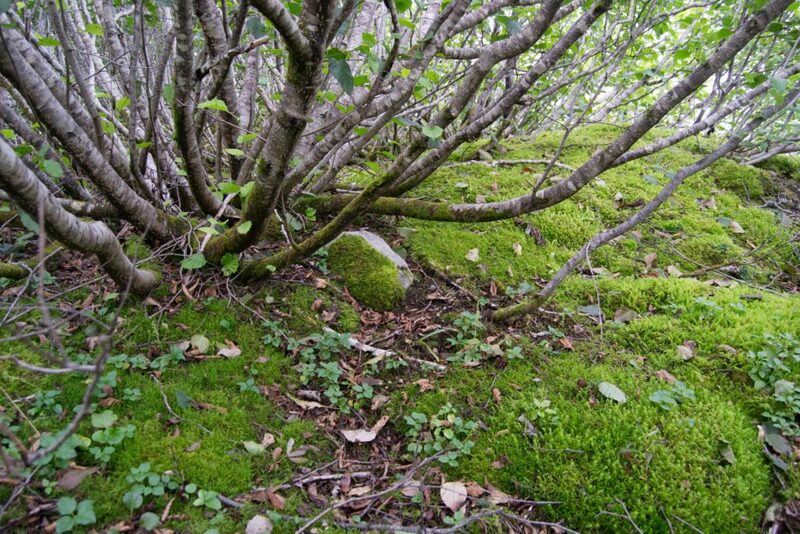 But there is no evidence that soil properties or climate can explain alder’s poor performance. So maybe timing is important. Although alder seeds were apparently scarce for this site’s first 20 years, they have probably been abundant during the last three decades. But by that time another plant community was present. Maybe the Dryas that covers more than 90% of the study plots prevents alder seeds from germinating or establishing. Maybe if abundant alder seeds arrive early they can establish and form a dense shrub thicket, but if they arrive after Dryas covers the ground, they do poorly. 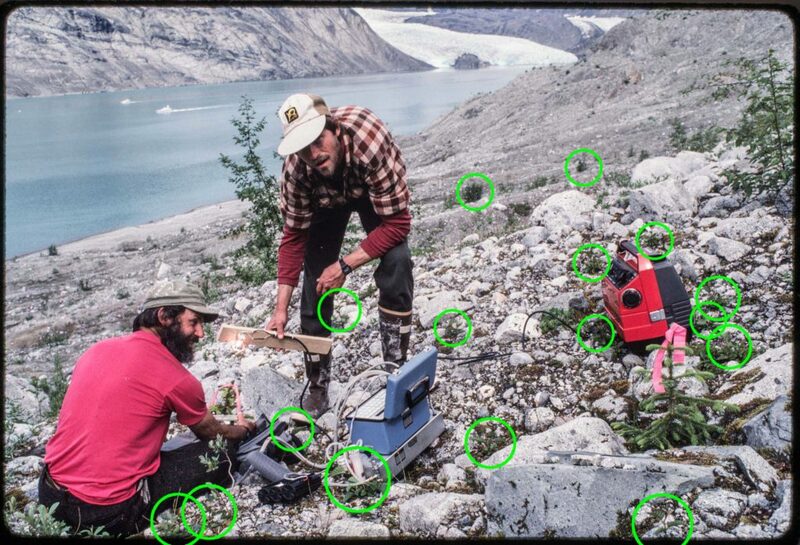 In 1987, Terry Chapin and Lars Walker initiated a series of experiments to learn how species interacted with each other in the early decades of vegetation development in Muir Inlet. One of the many hypotheses they tested was that the carpet of Dryas inhibited the germination or establishment of alder. 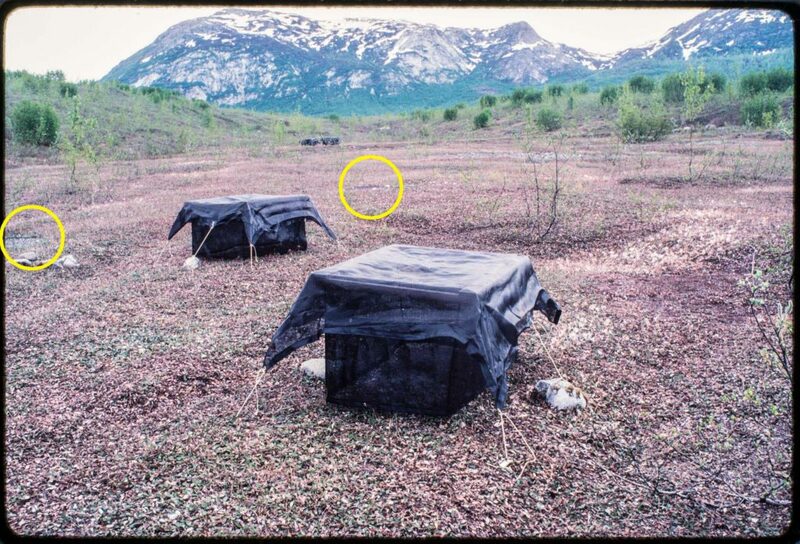 Alder seeds were planted in four vegetation types (uncolonized young soil, Dryas carpet, alder thicket, and spruce forest) and also in plots at those sites where all plants and litter were removed to expose bare soil. Alder seeds germinated and grew well for two years at the youngest site on either the undisturbed soil or where any moss or black crust was removed. However, almost all alder seeds failed to germinate when planted in Dryas, and did significantly better when the Dryas was removed. 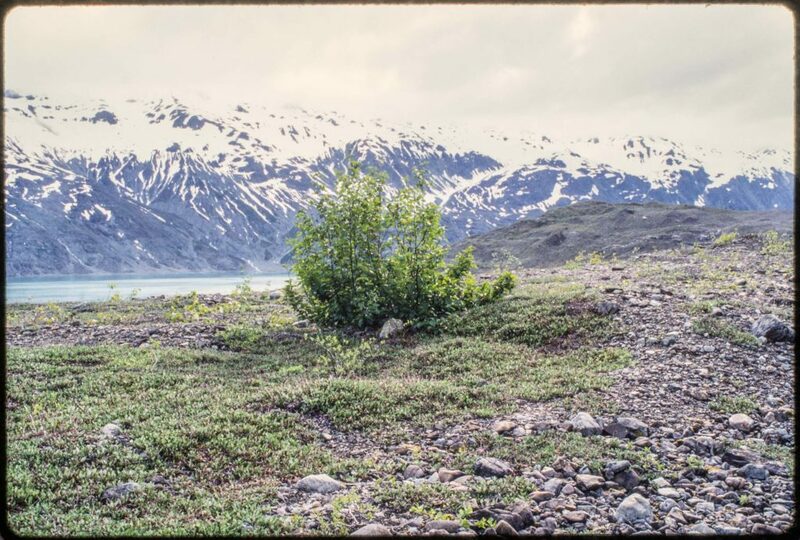 Terry’s experimental results are consistent with the idea that a delayed arrival of alder seeds at Site 1 allowed Dryas to establish and then prevent the type of alder invasion that happened at older sites in Muir Inlet. The seeds produced by the few pioneering alder shrubs (and later by their rare offspring) encountered a hostile environment for establishment, and the early established Dryas, willow, and cottonwood are having their decades in the sun. If this is what is happening, it’s another example of how early colonizing plants absolutely do not “pave the way” for later plants. 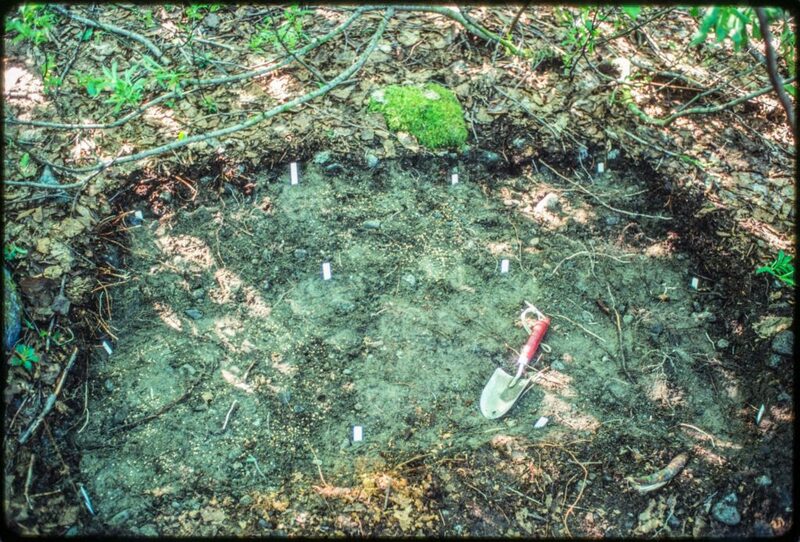 When this idea of facilitation is carefully tested, the result usually suggests that established plant communities compete strongly with potential invaders, in other words do the exact opposite of facilitation. But that’s another story. I like the idea of near-continuous Dryas cover precluding germination/establishment of alder. I expect alder requires bare mineral soil. Any reason to think there could be any other manifestation of competitive inhibition (besides just not allowing any space to germinate/establish)? I can’t think of any. An alder seedling germinating under Dryas will be growing in the shade for a few years and alder does not like shade. The alder seedlings under the shade frames in Terry’s Pioneer site grew about half as much as controls. Baby alder seedlings might also not like it when the snowpack squashes them under the Dryas plants for five months. We sprinkled ground alder leaves on Dryas which reduced Dryas growth by 30% apparently due to allelopathy. We did not test whether Dryas litter was allelopathic to alder seedlings. That’s a possibility. We did collect soil from each of the four successional stages (Pioneer, Dryas, Alder, Spruce) and planted seeds in each in a greenhouse. Alder seeds sown in Dryas soil germinated at a lower rate (p< .05) than when sown in Pioneer soil. That is sort of consistent with Dryas causing some allelopathic inhibition of alder. Just found your site had some updates! Note this is the same pattern as observed on the Cooper plots – about a 10 year period of alder establishment (1945-1955 or so) then nothing after. A short window, and no spread since. 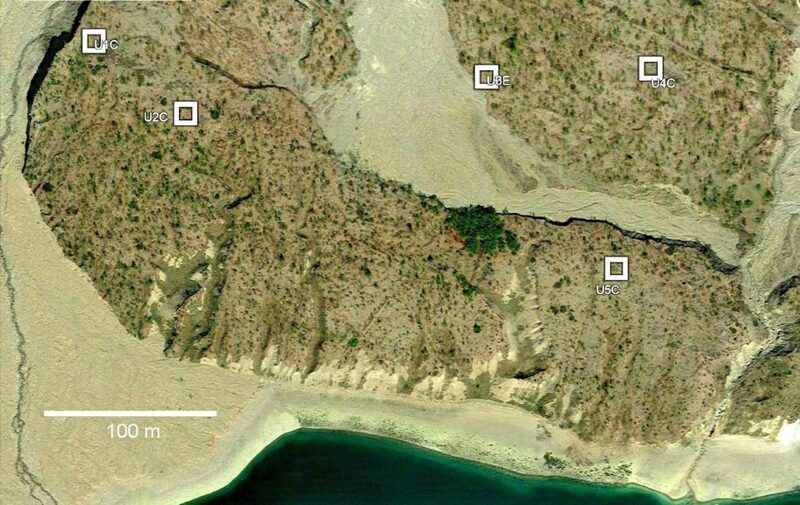 Looks like more open areas on your sites, though, so a bit of a difference relative to the willow choked west side.